The Arenal Volcano region is one of the most popular touristic sites of Costa Rica, it is luscious and beautiful, and with the mighty volcano crowing the landscape the area has magnificent rainforests, hot springs, a big beautiful lake and an incredible sort of adventures to choose from. 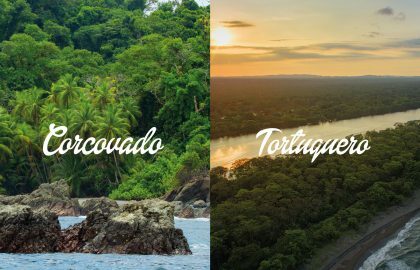 And as diverse as the Arenal Volcano is, you must have the guide of a local (that’s on your side, of course), because there are so many options to choose from that it is quite easy to go in the wrong way (As we read in the article “A Good Tour Operator In Costa Rica: 11 Checks You Should Do“?). That’s the reason why we decided to write this guide. Because never mind if you are our passenger or not, for us, at Mapache Tours it’s quite important that all visitors to Costa Rica have an amazing time. Plus as Arenal is an area where you can find something for all, it deserves a closer look. The region of the Arenal Volcano is located in the plains of San Carlos, in the province of Alajuela. The main town of the region is La Fortuna, standing 17 kilometers from the entrance of the Arenal Volcano National Park. Arenal is the youngest of all the volcanoes in Costa Rica. Its activity goes back to more than 7000 years ago. However, the area prevailed unexplored until 1937, when a documented excursion went to reach the summit. Up until that date, it was known as Cerro Arenal (Mountain Arenal) or the Cerro de los Jilgueros (The finches mountain, for the tremendous amount of birds that resided in its forests that prior de eruption covered the whole mountain. On Monday, July 29, 1968, at 7:30 am, the Arenal Volcano violently erupted. The eruptions continued unabated for several days, burying over 15 square kilometers under lava, rocks, and ash. 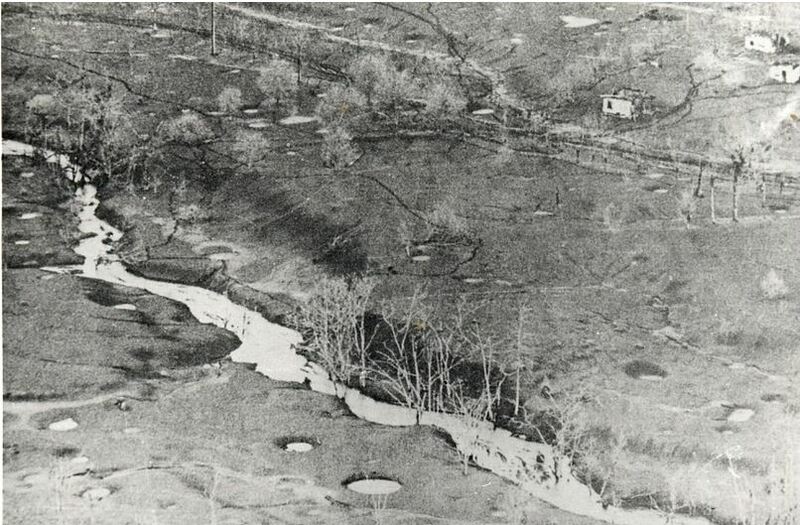 When it was eventually over, the eruptions had buried three small towns – Tabacón, Pueblo Nuevo and San Luís- and killed 87 people and crops were spoiled, the property was ruined, and massive numbers of cattle were killed. At the length of its violent activity, the volcano threw enormous rocks – some weighing several tons – that formed hundreds of craters in the surroundings, some of them still visible near the National Park. 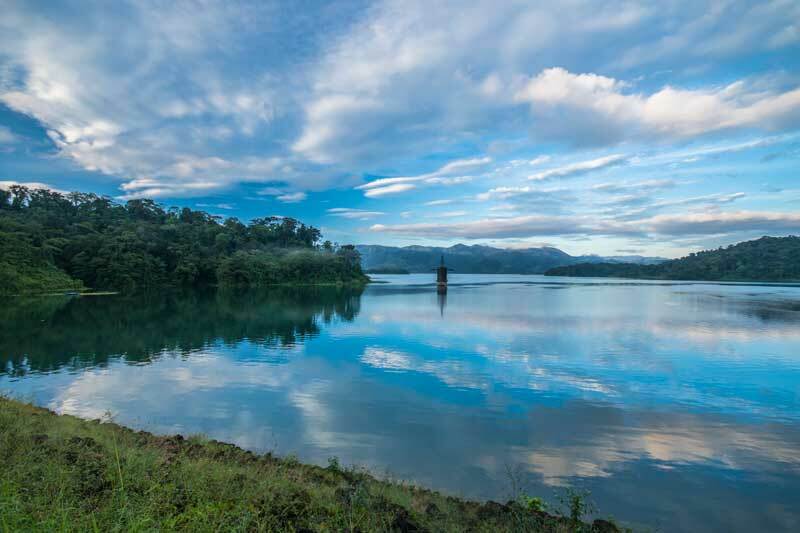 Lake Arenal was formed by the creation of a huge earthen dam on the valley’s eastern edge. It was filled with water from 1972 through to 1976. By 1979 the hydroelectric dam was finished and started producing a big percentage of the electricity of Costa Rica and even Nicaragua. During the development, the current towns of Tronadora and Arenal were relocated to the northeastern side of the lake. Water from the lake is tunneled to the dry North Pacific of the country, moving through three turbine-driven generating sites, before being channeled into an irrigation system of canals that have largely improved the agricultural productivity of Guanacaste. 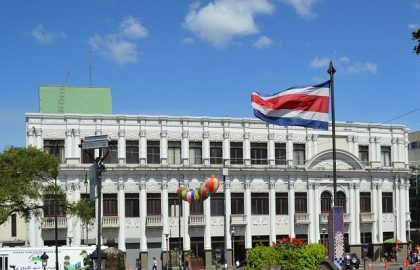 For decades the tourism industry in Costa Rica was delayed because of the continuous civil wars of Central America because even if Costa Rica had no army, was neutral and has a history of political stability and harmony, none wanted to travel to an area in the World that was considered to be violent and dangerous. 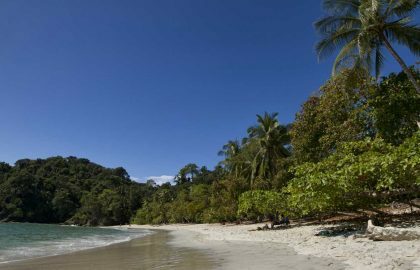 By 1988 the travel industry started with a slow but steady pace in Costa Rica. The first one day tours arrived that year. The trip was long and tiring, the routes were gorgeous, however, it was a long journey to simply stand in front of the volcano and see its impressive eruptions. Sometimes, not even that, if it was cloudy. 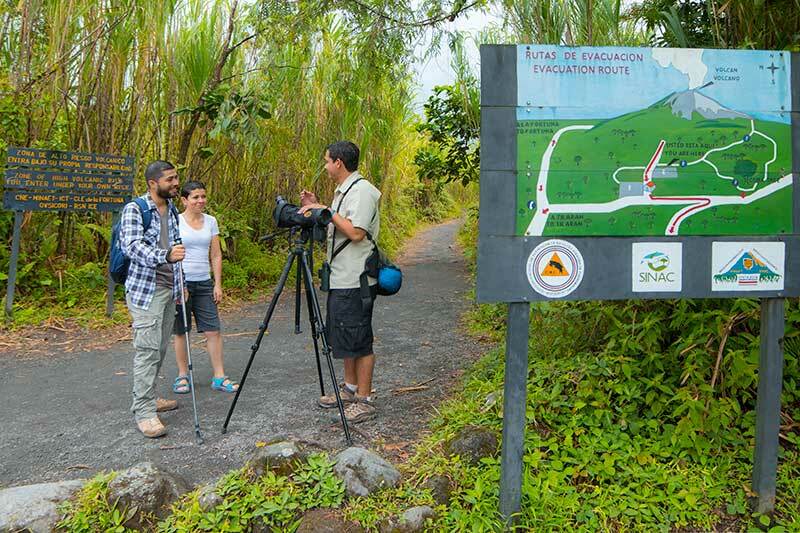 “We used to step out of the bus where Tabacon is now, and let the tourists touch the creek water… “See? It’s hot!” we used to say in awe,” a tour guide that used to do those tours says in laughter. There was one tiny old hotel in the small town of La Fortuna and one single restaurant in the whole area. However, little by little the farmers of the area saw that there was a great chance of growth and started building restaurants, hotels and all sorts of activities. The Arenal Volcano region thrived and nowadays is one of the most visited places in all the country with hundreds of options for the travelers to do. There are four routes to get to the Arenal Volcano Region, and it all depends on where you are coming from. By La Tigra: Staying on the Panamerican Highway and passing by the town of San Ramon, and getting up to the cloud forests of Los Angeles. Until you arrive at a crossing at La Tigra. Both routes are very similar, although the fastest is going across the Peñas Blancas River and getting directly to La Fortuna. The other one will take you through the town of Tanque and it gets as well to La Fortuna. 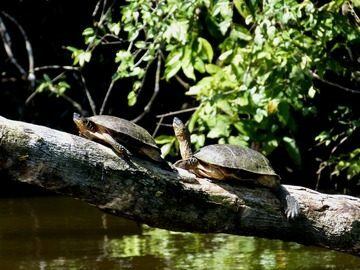 By Vara Blanca: If you want to visit the Poas Volcano and/or La Paz Waterfall Gardens. By Zarcero: If you want to visit the famous Zarcero Park and its topiaries. By Bajos del Toro: If you want to see the amazing Bajos del Toro rainforests and waterfall. The Arenal Volcano Region has quite an exciting weather, as green as can be, it’s hot and humid all year round; its average temperature is 28°C (82 F°) though in a hot day in March or September it can go up to 33° (88° F). The sunny season it’s in March and April and then again in September and October, although, sometimes, it happens that January or February are very sunny and only gets rainy if there is a cold influence from the North. And even in the wettest part of the rainy season, it has extended periods of sunny days with unexpected storms and intense downpours. 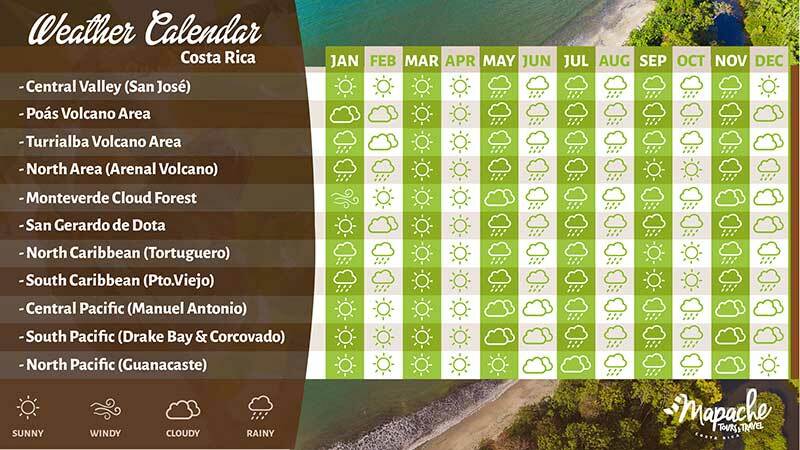 (LINK Find here about the weather and seasons of Costa Rica) also, you can also check the graphic below to see the rainiest, windiest and sunniest months in the Arenal Volcano region. 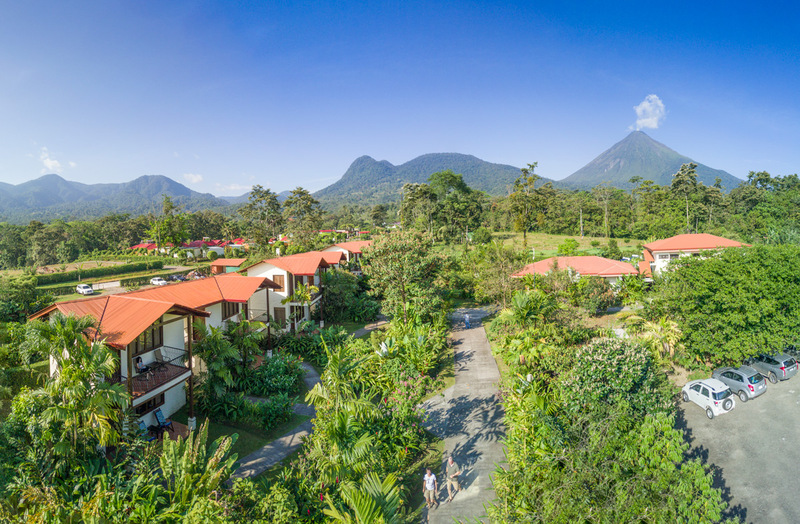 The Arenal Volcano Region has a vast array of choices in terms of accommodations and, as usual, it depends on what you want to experience which is best for you. There are choices for all sorts of budgets, from the small cabins and hostels to five stars resorts and boutique hotels awarded by Forbes. 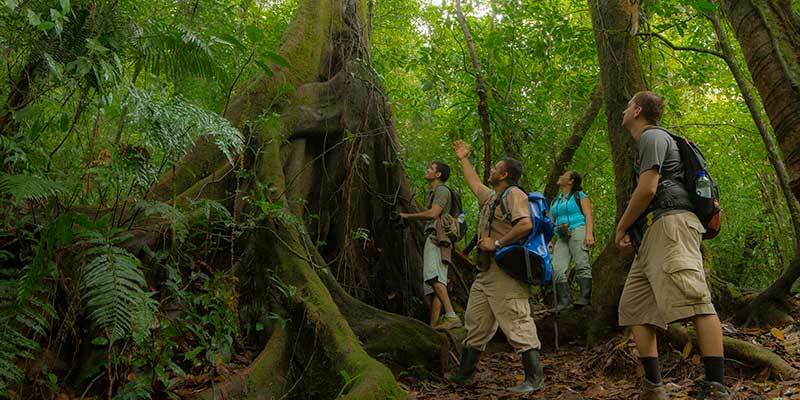 There are hotels to fully experience the rainforests of the region. Others where the focus is on the view of the mighty volcano and the leisure of the hot springs and spas. You will also find choices that are focused on wellness, the Arenal lake or the incredible bird watching of the region. Pros: It’s great to use as a hub. If the main objective is to spend the days in the numerous activities of the region. There are some excellent choices and you can find all sorts of restaurants, grocery stores, banks, and stores. If you are in the outskirts, usually the grounds are kept to attract the fantastic myriad of colorful bird species of the region. Cons: It’s a town, can be noisy at times and nature is kept at bay. 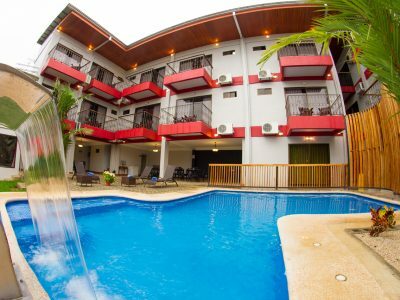 These hotels are focused in the Arenal Volcano view, hot springs and leisure. 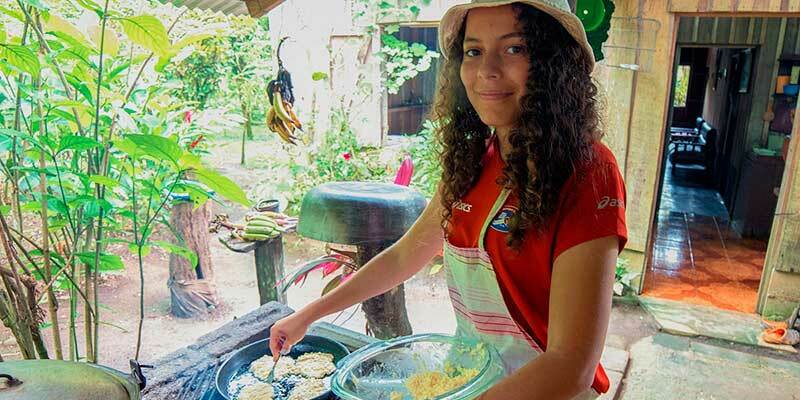 There is a great variety of accommodations in this part of the Arenal Volcano region. From small family run businesses to big resorts. You will find a great diversity in hot springs and spas also. A wonderful choice for nature lovers. You can watch both the Chato and the Arenal Volcanoes and nature is simply breathtaking. It is also good to use as a hub. 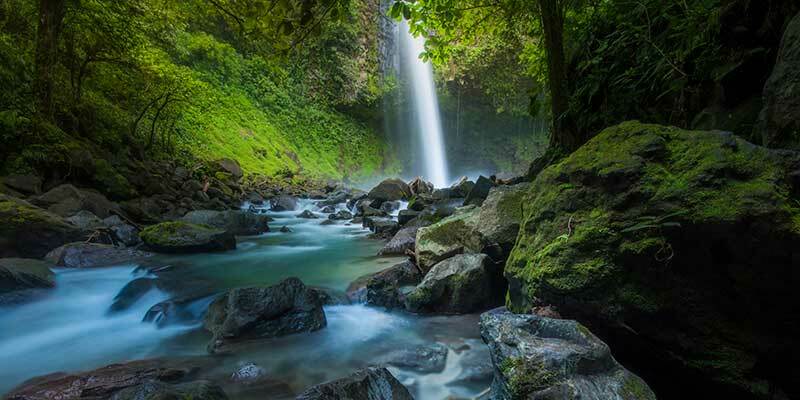 Both are more focused on the fantastic nature of the Arenal Volcano rainforests. This area is known as a great hub for wind-surfing and several aquatic experiences of the Lake Arenal. Regarding transportation, we divide the region into three basic areas that you can find in the following map. In the region of the Arenal Volcano, there are magnificent rainforests and quite unique volcanic remains. The Arenal Volcano National Park is encompassed of primary and secondary tropical rainforests, including four different life zones and sheltering a huge amount of fauna and flora. 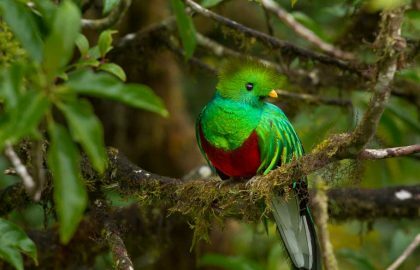 In fact, up to 50% of the total 904 species of birds recognized in Costa Rica can be detected here. Other animals that are fairly common in the area are Howler and White-Faced monkeys, Two and Three-toed sloths, White Nosed Coatimundis, several species of snakes and vipers, including the wicked fer-de-lance, parrot snake and boa constrictor. The Chato Volcano (Volcán Chato), joins Arenal. This volcano, located at a height of 3,740 ft (1,140 m), has been dormant for about 3,500 years and has a crater filled with turquoise water. In the North region of Costa Rica, you can find a thriving population of agricultors that have created one of the most productive areas of the whole country. As many other areas land was given to those brave enough as to venture with their families into the hostile forests of the North to tame them and make the land produce. You will notice that there are all kinds of plantations, from the native tubers (Cassava and similar), pineapple, sweet plantains, oranges and more. As well as a lot of pasture lands. 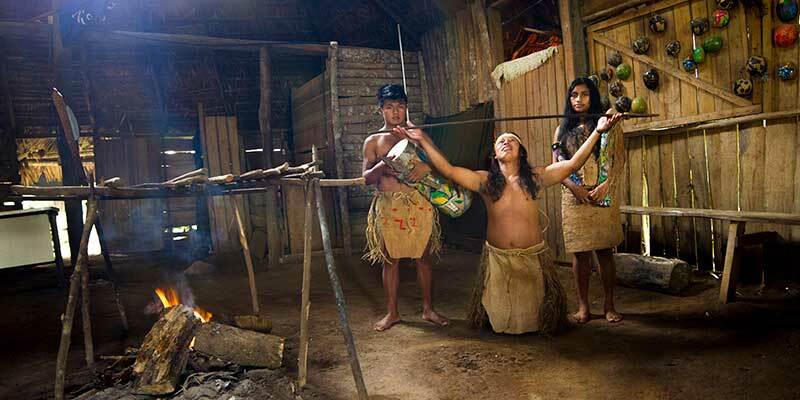 As well in this part of Costa Rica, you can find one of the most ancient indigenous groups of Costa Rica: The Malekus. Check their traditions, their food, and their culture in the Maleku Indigenous Reserve. 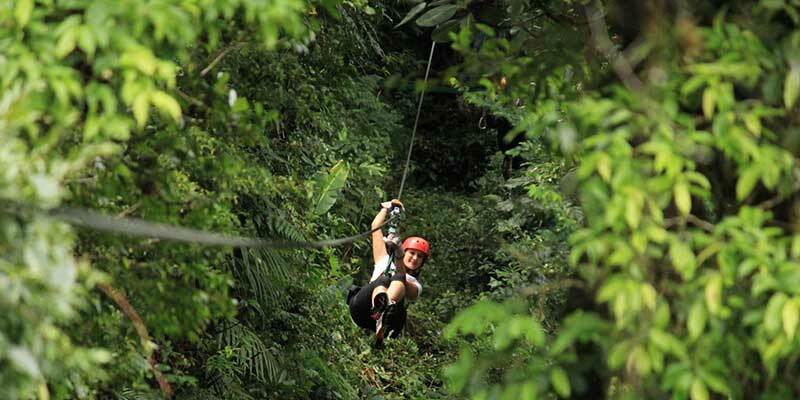 Arenal Volcano Region has turned into the adventure capital of Costa Rica. With an outstanding variety of activities, you can spend your entire vacation in the area just delighting in the numerous activities that will rush your adrenaline in the midst of the most exuberant nature. Sports Fishing in the lake. 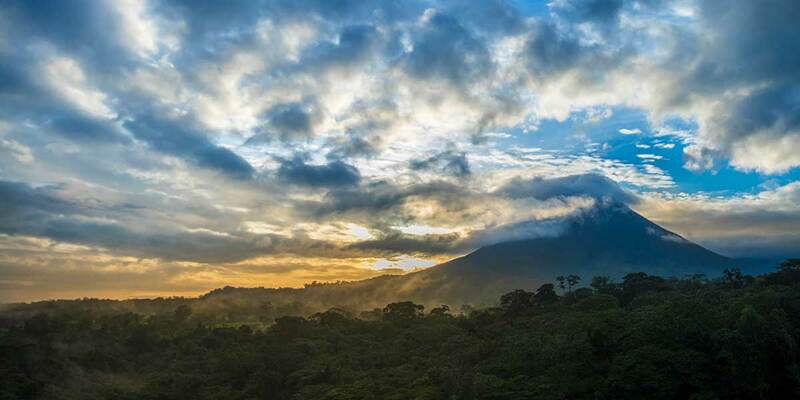 The Arenal Volcano Region is one of the richest and most popular areas of Costa Rica. An absolute must for any traveler looking to experience the best of paradise. Please call our travel consultants for guidance in this fantastic and multidiverse region.